How does Envyderm Eyelash Enhancement and Conditioning Nighttime Serum work? Envyderm Eyelash Enhancement and Conditioning Nighttime Serum is an eyelash growth serum and conditioner that is made up of a wider range of natural ingredients that are historically or scientifically proven to have positive impact on hair restoration and growth. 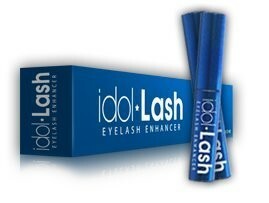 This product is targeted at women and men who have thinning eyelashes or bald spots along the eye line. Regular application as instructed helps these people to restart the growth of eyelashes, the results that can be seen as soon as 4 weeks after use begins. The goal of the serum is to help the user achieve longer, fuller and thicker lashes through there all-natural serum. How does a person apply the serum? The application of Envyderm Eyelash Enhancement and Conditioning Nighttime Serum is very straightforward. The tube has the applicator attached to the cap. When you unscrew the cap, you need only pull out the wetted applicator and sweep the tip along your eye line. Make sure the tip touches on the edge where the lashes meet the eyelid. This is where you want to focus the regrowth of lashes. This application needs only be done once a day. How long does a tube of serum last? A single tube of Envyderm Eyelash Enhancement and Conditioning Nighttime Serum typically lasts the user about 6months if they are applying it only to the top eyelids of both eyes. If however they are making this application on both the top and bottom lids, then the serum will diminish twice as fast, meaning a usage period of roughly 3 months. Under clinical testing the Envyderm Eyelash Enhancement and Conditioning Nighttime Serum managed to produce visible results as early as 4 weeks. For women who are in generally good health and adhere strictly to the instructions provided in the pack, this timeline is realistic to achieve. Those who may be suffering other mitigating factors, the results may take longer but generally fall within the range of 4-8 weeks. The manufacturer suggests that length can improve by as much as 25% and density by 72% within 6 weeks of use. Is this product safe to use near my eyes? The eyes are a delicate par t of the body and nobody wants to risk causing damage that may lead to vision problems. Envyderm Eyelash Enhancement and Conditioning Nighttime Serum is however a very safe product for several reasons the first is that it has been clinically tested. This means actual humans tried it out while being monitored by doctors, hence their claim of no side effects by the manufacturer. The product is also made up of all natural ingredients. This means minimal risk of suffering an allergic reaction. The very many positive consumer and beauty expert reviews also mean that there are plenty of real world people you can rely on for an opinion as to the serums’ safety. Is the Envyderm Eyelash Enhancement and Conditioning Nighttime Serum effective? It is only natural to want to know if a particular serum is effective, especially given the many options that are entering the market and promising overnight miracles. The reality is that Envyderm Eyelash Enhancement and Conditioning Nighttime Serum is effective if you adhere to the instructions for its use and are patient. As mentioned, there are very many product reviews to be found online that feature documentary evidence of the results that can be achieved when you use it. Be consistent in your efforts and you will find others complimenting you on how much better you look in no time. Envyderm Eyelash Enhancement and Conditioning Nighttime Serum is only sold through the manufacturer website. You can buy it online by clicking through to the website and making your purchase online. This restriction is so as to ensure that the product is not tampered with by intermediary sellers. You can also find several other lip and eye enhancement and beauty products that will complement the use of the serum and help you achieve a more attractive look. The manufacturers of the product are so confident in their serum’s abilities that they offer a 60-day money back guarantee. This means that if within this time you are not seeing the desired results, you can apply for a refund of your monies. They have a hassle free return procedure o the website, with no questions asked. There is no way you can lose out. Yes. The same ingredients that help to stimulate faster growth of hair along the eyelid, can also do the same for your brows. Apply sparingly along the area you wish to see your brows re-grow and you should see results soon enough. May newcomers to this niche in the cosmetic industry may wonder how they can possibly make a right choice of eyelash growth serum when there are just so many options in the market that are being touted as the best. There are several simple steps you can follow to help narrow down to the best choice of growth serums to try out. Investigate the ingredients – the eyelash area is a delicate one and you need to ensure that you are using a product that will not harm you. Rule of thumb is to avoid chemicals and seek all natural remedies. Products like Envyderm Eyelash Enhancement and Conditioning Nighttime Serum are made entirely of natural ingredients like coconut oil, kelp, green tea, chamomile extract and wheat germ oil. The amounts are simply concentrate to help better stimulate hair growth. Review the reviews – seek out independent consumer and beauty expert review that offer documentary evidence as to the effectiveness of the eyelash growth serum. Independent reviews typically appear on a site that features a wide range of cosmetic products with varied results being reported for each one. This suggests impartiality when judging the effectiveness and quality of a product. Consider how it was tested – One does not need animal testing to know if a product is safe and effective. Envyderm Eyelash Enhancement and Conditioning Nighttime Serum was tested in clinical trials, which are documented on the manufacturer’s website. This means actual humans tried the products with no side effects being reported. This is best way to know if the product is suited to human physiology. Work within your budget – Just as there are a wide range of serums to choose from you will find that each one comes at a different pricing. Envyderm Eyelash Enhancement and Conditioning Nighttime Serum is moderately priced given the amount of use you will get out of it. If however it is still beyond your budget, you will likely discover other cheaper options that may have comparable benefits. Consider your sensitivities – Some people may have suffered hair loss due to health concerns and this may compromise how effectively an eyelash growth serum will work for them. As you compare and contrast the options available in the market, consider if the ingredients and formulas used may not suit your particular situation.